Darley Newman knows horseback riding vacations better than anyone—after all, it’s her job. As a lifelong rider and host of the Emmy award-winning travel show Equitrekking, Darley gets to explore diverse locations all over the globe from the back of a horse. Pretty cool job, right? Not only does Darley have (in my opinion) the world’s coolest job, but she’s also one of the friendliest people I’ve met, and when you talk to her you can sense the real passion she has for what she does. So when I asked if she’d be willing to share some of her tips about equestrian vacations, she was more than happy to take a break from her busy globe-trotting (pun intended) schedule to answer a few questions. While we can’t all have a job this amazing, you can still see the world from the saddle for yourself! Check out Darley’s expert advice so you can find the ride of a lifetime that’s perfect for you, your interests, and your riding ability. Darley and outfitter Dewy Matthews in the Canadian Rockies. 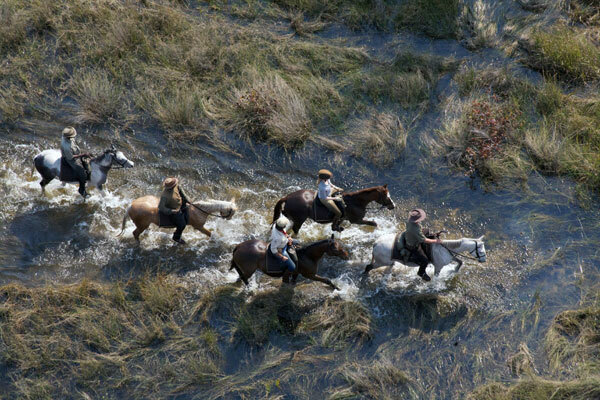 There are a lot of ranch vacations that cater to beginners or groups of riders with varying abilities. There are also riding vacation destinations where you can take riding lessons or take a short riding vacation, which can be good for folks not used to being in the saddle. For instance, Castle Leslie in Ireland has a learn-to-ride vacation; the Mountain Top Inn in Vermont has an adult horsemanship camp and lessons; and Marriott Ranch in Virginia offers two- and three-day riding vacations for people who want to try Western riding and cattle drives in the East Coast. There are many more! What about locations that you’d recommend for more advanced riders? 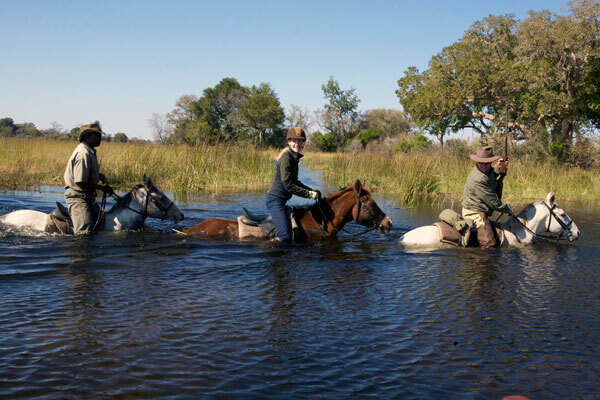 If galloping from island to island in the largest inland delta in the world to see wildlife sounds like a dream trip, head to Botswana’s Okavango Delta. 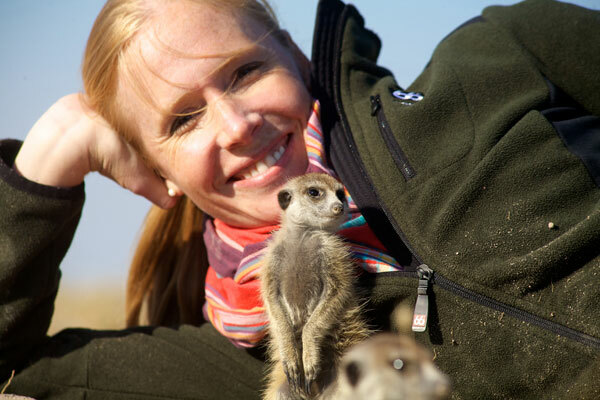 I did some of the most challenging riding ever in this location and saw amazing wildlife. You won’t be able to enjoy a zoo after this experience of seeing animals in the wild. Darley takes a “swim” in the Okavango Delta in Botswana, Africa. Another great pick for more advanced riders is Jordan. I trekked through the Wadi Rum Desert with the Bedouin, riding spirited Arabian horses and camping under the stars. I had an amazing riding and cultural experience. 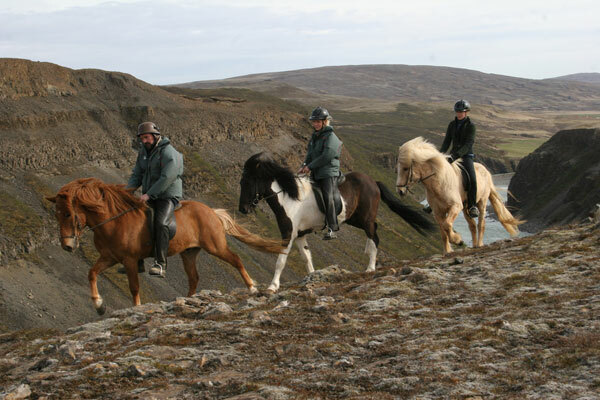 Certain Icelandic riding vacations are best for more fit, experienced riders as well because of their pace and the amount time in the saddle each day. If you’re into dressage and are looking for a training vacation, Epona in Seville, Spain, offers a classical dressage and high school training vacation for more experienced dressage enthusiasts. For Western riders, the Double E Ranch, a working ranch in New Mexico offers cattle drives and clinics for more advanced riders. 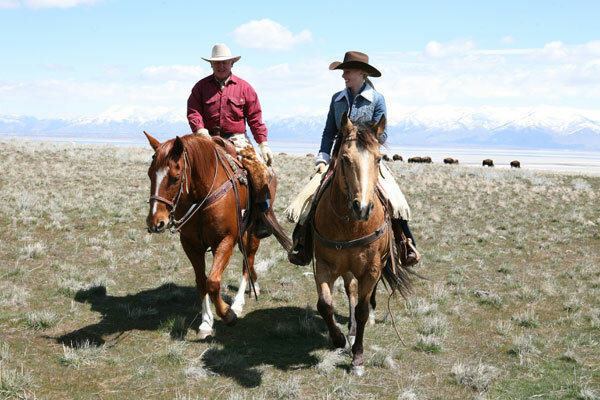 The Hideout Ranch and Blue Sky Sage Horseback Adventures in Wyoming also have various vacations for more advanced riders. What were some of the best trips you went on in terms of sight seeing (in and/or out of the saddle)? Cappadocia, Turkey, is a great trip for combining sightseeing with horse riding adventures. You trek from village to village on horseback through bizarre and captivating fairy chimneys—rock formations that are similar to hoodoos in the American West. In the villages, you can interact with local people and explore underground cities, historic monasteries, and colorful marketplaces. It’s an authentic cultural experience and amazing sightseeing during the riding days. 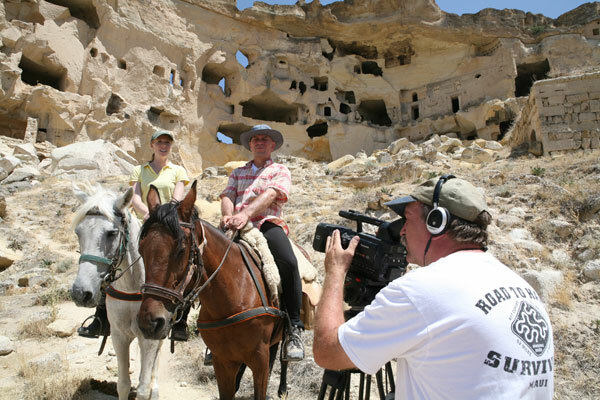 Darley filming by the fairy chimneys in Cappadocia, Turkey. Jordan was another great trip for sightseeing. We rode through the Wadi Rum Desert, visited Petra, and also floated in the Dead Sea and snorkeled in Aqaba. It was a great combination of riding, history, culture, and adventure. Darley filming at Little Petra in Jordan. Does this look like an adventure you’re ready for? The film crew gets a great aerial shot of Darley in the Okavango Delta in Botswana, Africa. 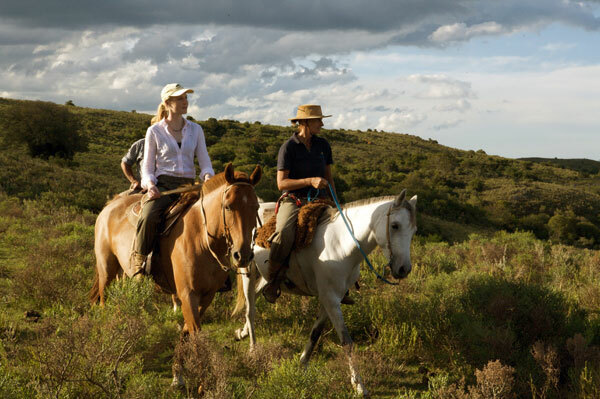 Experiencing new horses, new tack, and new riding styles is all part of the Equitrekking experience. Here you can see the sheepskin saddles used in Uruguay. I know it’s impossible to pick favorites because you’ve ridden in so many amazing places, but what five locations that really stand out in your mind? 1. Ireland – There are so many great places to ride in Ireland. I’ve been a few times and on one trip drove from Dublin in a circular route taking me to the lesser-visited Cooley Peninsula, Donegal, Connemara, Ring of Kerry, and beyond to ride beaches, mountains, castles, countryside, and more—all with welcoming local people. Darley takes a ride on the beach in Donegal, Ireland. 2. Costa Rica – The wildlife and nature make this a very cool place to ride. Picture riding through the rainforest to see howler monkeys and colorful birds and frogs and then soaking in secluded hot springs. 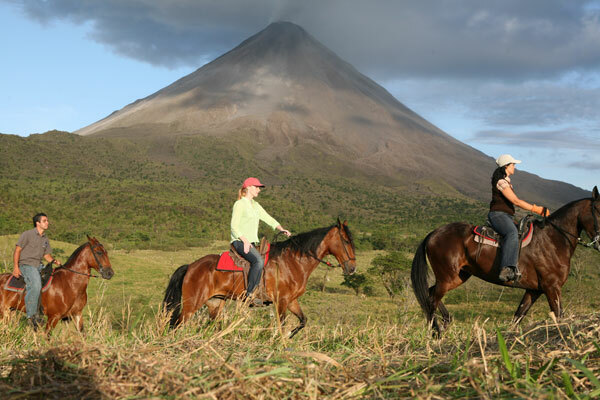 Darley rides along the base of Arenal Volcano in Costa Rica. 3. Iceland – I love the Icelandic horses. I think they are super fun to ride with their unique gaits. Iceland is otherworldly, as you can trek through lava fields to geysers and waterfalls and then soak in a hot pot on an Icelandic farm at night. 4. Hawaii – The Big Island and Maui offer a lot of diversity. 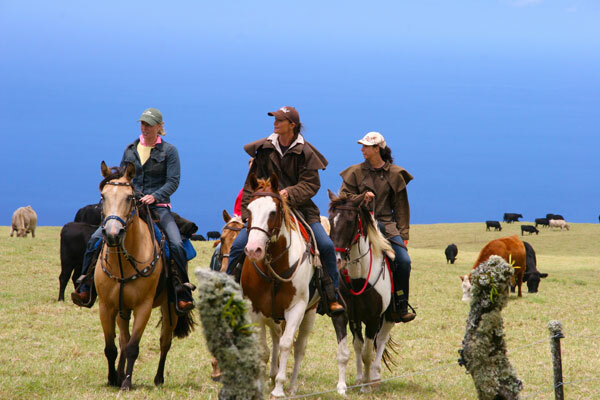 You can ride into the crater of a volcano or into the lush rainforest on Maui in a National Park or saddle up on a working ranch overlooking the Pacific Ocean in Makawao. With its own distinct cowboy culture, the Hawaiian Islands have a lot of horsey culture. 5. Utah – This is a beautiful state with lots of horse riding opportunities in state and national parks. For our Equitrekking Utah episode, we filmed and rode in Bryce Canyon National Park, with bison on Antelope Island State Park outside of Salt Lake City, through Snow Canyon State Park and stunning Capitol Reef National Park, AND there were so many other great places to horse ride and enjoy the great outdoors. You can catch a glimpse of the bison in the background as Darley talks with outfitter Rob Brown while filming on Antelope Island in Utah. Are there any great places you’ve ridden that also have lots for non-riders to do (just in case you’ve got a non-riding counterpart with you)? There are a lot of great places where you can please your entire riding group, even a mixed group of riders and non-riders. In Ireland, Mount Juliet and Castle Leslie are good picks, as in addition to riding there is golf, fishing, the spa, and other activities. Plus the accommodations are neat, as you are staying in a historic manor house and castle. At a lot of ranches, especially ranch resorts like Tanque Verde Ranch in Arizona or Alisal Guest Ranch in California, offer horse riding in addition to a spa, golf, tennis, and area attractions in Tucson or Santa Barbara Wine Country. What would you recommend for riders who are looking for a really great fast-paced riding adventure? A horse drive in Iceland can be a fun, fast adventure, as can riding in Africa in general, as you may have to gallop away from dangerous prey or along with a herd of wild animals. 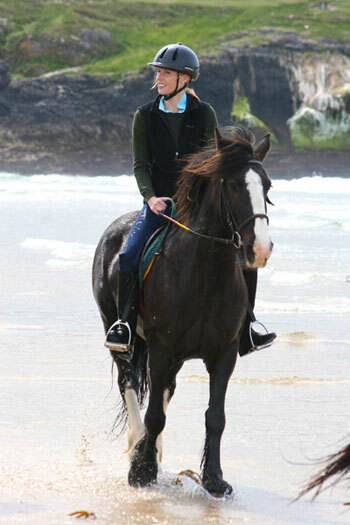 Galloping on the beach in Ireland is a fun, fast riding escape, which you can find down in the Ring of Kerry. Darley experiences the unique Icelandic horses while riding alongside a cliff in Iceland. 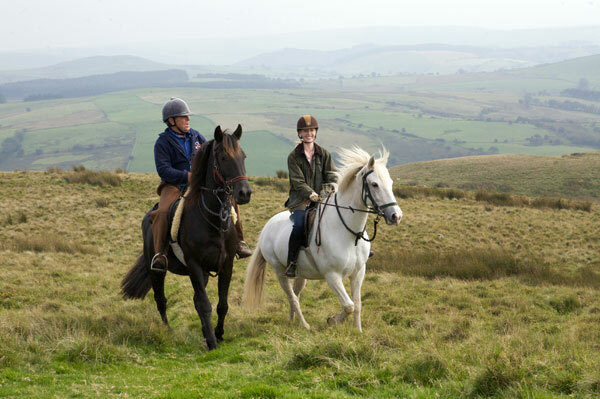 Charlie Pollak and Darley in the Cambrian Mountains in West Wales. Start planning your own adventure! 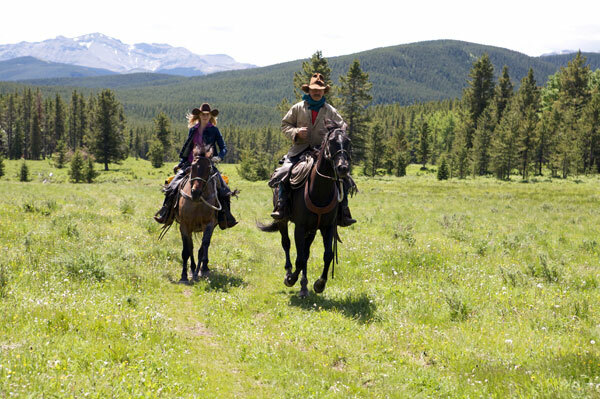 We’ve created a variety of online guides and resources to dream, plan, and learn about ranch and riding vacations. On Equitrekking.com, the companion website to our Emmy-winning PBS and globally broadcast equestrian travel TV show, you can search for dude ranches, guest ranches, cattle drives, and global horseback riding vacations in the Equitrekking Vacation Guide and find exclusive deals on Equitrekking.com Travel Deals. Top20Ranches.com is devoted to some of our favorite dude ranches throughout the USA, Canada, and Mexico. EquitrekkingTravel.com features select riding vacations and a team of travel agents who have taken all of these trips and can help match with you with a vacation to fit you and your group. Thirsty for more adventure? Check out these other fun videos!